Sort of on topic, sort of not. 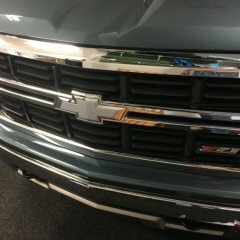 I noticed the MyChevy app was updated yesterday. The changelog says "customers will be able to use their myChevrolet app in Apple CarPlay so they can interact with some of the app's features through the vehicle's infotainment screen." Anybody tried this yet? Just curious if this works for the modded trucks, what this is like, and what all it can do. I currently have my 2.5 HMI pulled out, so I can't test at the moment. I also don't see an icon under the CarPlay section of the phone settings yet. I received my new radio module and pulled my newer HMI back out of the truck. Both are packed up and ready to send to the Great White North for programming. PM sent. eBay seller ID is dokus223. I don't see a listing for the 2.5 HMI right now, but this might be on account of (as woodyfriedt said earlier) he took the week off. An HMI module pre-programmed from Dokus was about $115 shipped. And about 10 minutes of install time. Awesone work! Can't wait to get started on this one. What radio P/N should we shoot for? And I know it'll take some time to shakedown all the ins and outs, but did this remedy all the Siri/Android feedback issues? Have you upgraded the HMI in a 2014/15 K2xx and this worked? This would be the solution for a vehicle that came stock with CP/AA. But we are attempting to upgrade older vehicles in an unconventional way and the rules no longer apply. This works for my truck if using Bluetooth, USB (no CP), or on the old HMI. You can even see that the volume indicator is red rather than blue when making this adjustment. I wish this was the case with a swapped HMI, but while using CP/AA, it is not. It was one of the first things I attempted to do to fix the issue immediately after installing the new HMI. Don’t recall if this has been mentioned, but I stumbled across this by accident. So the three obvious ways of summoning Siri do not work (home button, touch screen button, and steering wheel). I did discover by total accident tonight that “Hey, Siri” does work. I get the audible chime, but still no voice feedback. I can say “Hey, Siri give me directions to work” or “Play some metal” and it works, albeit a little slow. I will experiment some more tomorrow to try and determine how far that can work and what mic (phone or truck) is being used. Also adding to that, about a week ago, Siri turn by turn played through the sound system for one short trip. I got excited, but haven’t been able to duplicate that since, but it gives me hope. Today, it would lower the music volume at every turn, but no directions were audible. I'll add my 2014 P/N next time I get a moment to pull the dash open. I'm not ready to give up on this yet. Good info going in this thread. I just cancelled my radio module firmware update appointment based on what I'm hearing. So now that I need to replace the radio module with a newer unit, what part numbers can we confirm are working? I see some out there that look decently priced. I just want myself and others to make sure we are getting usable units. Thanks for the tip! I copied this on my 2014. I purchased $10 worth of white LED strips from Amazon and wired it all up to three sides in under an hour. My favorite upgrade so far. It blows the factory version away. I did the upgrade about three weeks ago. Same results as everyone else. Purchased 2.5 HMI from the same seller. 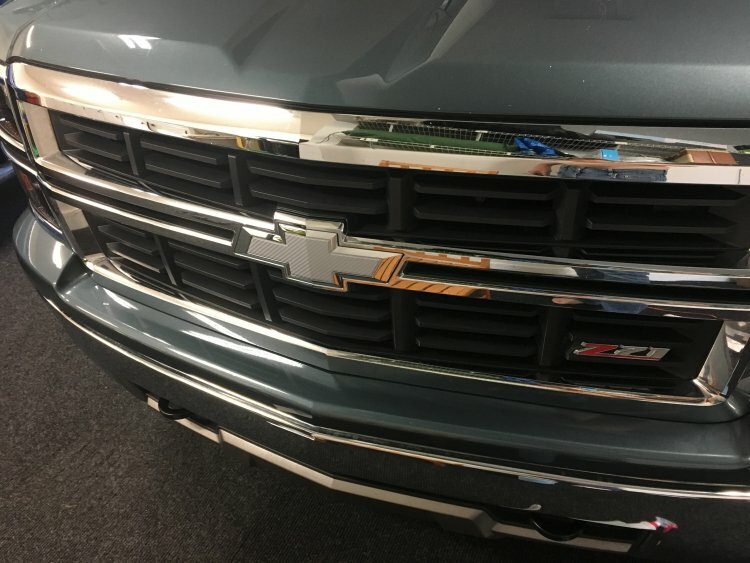 In a 2014 Silverado, had to update USB port, CarPlay works 90%. Siri and I do not hear each other, no voice call audio when connected to CarPlay. I saw the original YouTube poster updated the radio firmware to solve the issues, but I noticed he is in a 2015. I had an appointment this weekend to have the radio module firmware updated, but after reading through these replies, and am going to cancel and see what others report.